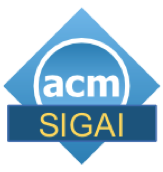 AAAI/ACM SIGAI will be holding their annual job fair at the AAAI conference at the Hilton San Francisco Union Square on Sunday February 5th, 2017 from 9am - 6pm. The job fair is open to all AAAI members, affiliates, and attendees of the AAAI conference. For AAAI members and affiliates not already planning to attend AAAI, a small onsite fee will be required. Talks by a portion of the organizations looking to hire will take place in Continental 6 in the San Francisco Hilton Hotel. All participanting organizations will have tables in the Grand Ballroom. Make sure you attend the overview talks and talk to these organizations on the job fair floor. You can also download the flyer with job ads for all employers.